IHRDA teamed up with WITNESS to produce this video documentary on VHS & DVD. It presents the African Court on Human and Peoples’ Rights through the eyes of those who need it most, victims of human rights violations. Through their witness, they show the great need for an effective human rights court in Africa. Having suffered violation, sought redress and still awaiting reparations, they show how African states have ignored human rights decisions since these have hitherto not been legally binding. The new court wish expected to change this with its powers to bind states legally to its decisions. The Road to Justice advocates for widespread ratification of the Protocol and for non-governmental organisations and individuals to be granted direct access as petitioners. This video is accompanied by a comprehensive booklet on the steps to achieve ratification and the importance of an effective Court. Although created in 1998, the African Court on Human and Peoples’ Rights only came into force in 2004. It took two years more for judges to be appointed and until now is yet to hear any cases, all the more reason for wider sensitisation on the need for an effective and accessible human rights court in Africa. 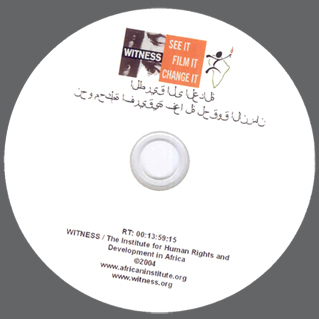 Click here to buy this video from the WITNESS website in English or French.